There are tens of thousands of Christian churches, and they all have different doctrines. They also vary in the number and types of ordinances they honor and require. According to the Miriam-Webster Dictionary, an “ordinance” is “a prescribed usage, practice, or ceremony.” When an ordinance is part of religious practice, it is the physical representation of a covenant or religious milestone in the life of the follower of the religion. Among Christian religions, the most common ordinance is baptism, which is usually the door through which a person becomes a member of a church. Forms of baptism and emphasis of the ordinance vary considerably, however. Ordinances are very important in The Church of Jesus Christ of Latter-day Saints, often mistakenly called the Mormon Church. By the time individual Mormons participate in all the ordinances of the LDS Church, they have covenanted to be very seriously devoted as disciples of Christ. Some milestones in Mormonism are not considered ordinances, and yet they mark the path of a disciple of Christ. As has been traditional since Old Testament times, babies are given a blessing to begin their earthy walk. Shortly after birth (there is no prescribed age) a baby is blessed by men of the LDS Church who hold the Holy Melchizedek Priesthood, and given the name by which he or she will be known during mortal life. This blessing may take place in the home or at the beginning of a Sunday “sacrament meeting.” The Mormon religion does not require circumcision. The first true ordinance of the Mormon faith is baptism, which takes place in any local Mormon meetinghouse which has a baptismal font, or in any body of water deep enough for a person to be fully immersed, following Christ’s example and requirement for baptism by full immersion. A baptism may be performed by a man or youth who holds the office of “Priest” in the Aaronic Priesthood. The baptismal covenant is the gate to the strait and narrow path that leads to exaltation. We promise to take upon ourselves the name of Christ, to always remember Him and to keep the commandments He has given us. In return, Christ promises that His Spirit (the Holy Ghost) will always be with us. It is at baptism that Mormons become members of the Church of Jesus Christ. Mormons do not believe in infant baptism. People are baptized when they reach the “age of accountability,” which is age 8. At that time, we can understand right from wrong and what is required to repent. Little children are innocent, covered by the atonement of Jesus Christ. Once a person is baptized, thereby becoming clean and pure, he or she qualifies to receive the Gift of the Holy Ghost by the laying on of hands by men who hold the Melchizedek, or higher, priesthood. The Holy Ghost will remain with that person to guide, prompt, warn, and comfort him or her always, as long as the person maintains worthiness. The Holy Ghost cannot dwell in an unclean vessel. It is through the Holy Ghost that we receive personal revelation for our callings, responsibilities, and personal edification and growth. The tell-tale “Mormon glow,” which studies show is discernible by Mormons and non-Mormons alike, is the Holy Ghost shining through the person who has his companionship. Mormons partake of blessed bread and water every Sunday at “Sacrament Meeting” in remembrance of the body and blood of Christ. They do this to renew the vows they made at baptism and to make effective the repentance they have participated in during the week for minor sins. Mormons have been warned by the Savior through revelation not to partake of the sacrament unworthily. Mormons believe in repentance, not penance, and more serious sins may require a long period of repentance and inability to partake of the sacramental emblems. Unlike Catholicism, a weekly confession will not absolve the sinner. Repentance entails, regret, a desire to be reconciled unto God, a forsaking of the sin, making restitution to the victim as is possible, and a return to keeping the commandments. Mormons strive to live up to their promises in being true followers of Christ. They make sacrifices of time and money through service in the Church, to their communities and families, and through offerings such as tithing. As they show their devotion, they begin to desire the blessings of the Holy temple. Temples are different than Mormon meetinghouses. A Mormon temple is a holy sanctuary, a House of God. In holy temples, Mormons make higher covenants not unlike those made by people who enter into the full-time service of God. The difference is, first, that Mormons remain in the world at their chosen jobs rather than leaving normal life for church service, and second, the ordinances of holy Mormon temples are performed with direct authority of Jesus Christ, so they are binding in heaven as on earth, as long as the participant continues to uphold his or her vows. The first ordinance is the endowment. An endowment is a gift, and this vow and ordinance imbues the participant with power from on high. An endowment session takes about 90 minutes and includes instruction that reviews God’s plan of salvation from the creation onward. Covenants require progressive dedication from Latter-day Saints. Symbolically we move from being able to sacrifice (offering a broken heart and contrite spirit, and materially our tithes and offerings) to being able to consecrate all that we are in the work of Christ. Symbolically, also, we move up through the three kingdoms of heaven (see 1 Corinthians 15 and Doctrine and Covenants 76) to be worthy of the Celestial — the presence of God. These vows are very serious for Mormons. It saddens them when people mock the temple covenants, demean the temple, or call for public entry to such a sacred place. 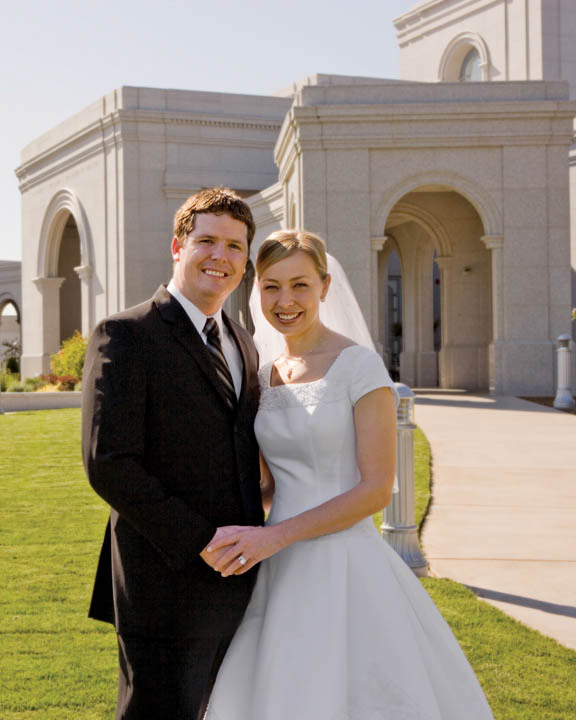 Mormons must be temple-worthy and endowed in order to participate in the ordinance of eternal marriage. This marriage vow is binding forever, as long as husband and wife remain worthy and true to their covenants. Eternal marriages are performed in special rooms of the temple, called “sealing” rooms, hearkening to the sealing power of Elijah, which binds in heaven what has been bound on earth.